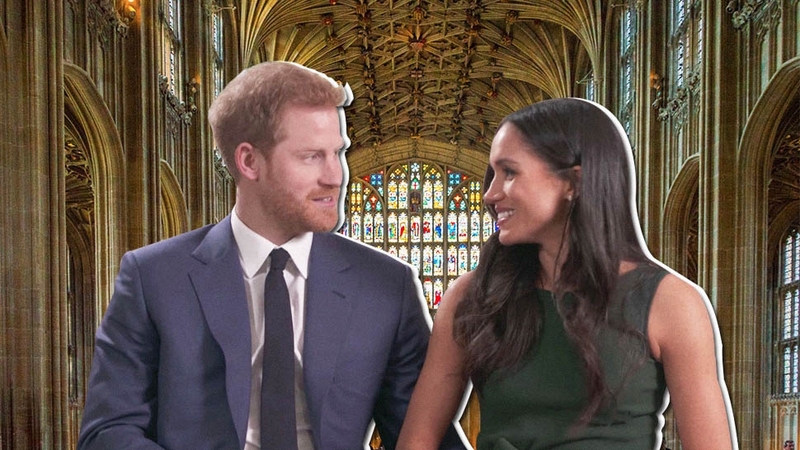 Here’s what we can learn about Harry and Meghan’s nuptials at St. George's Chapel. 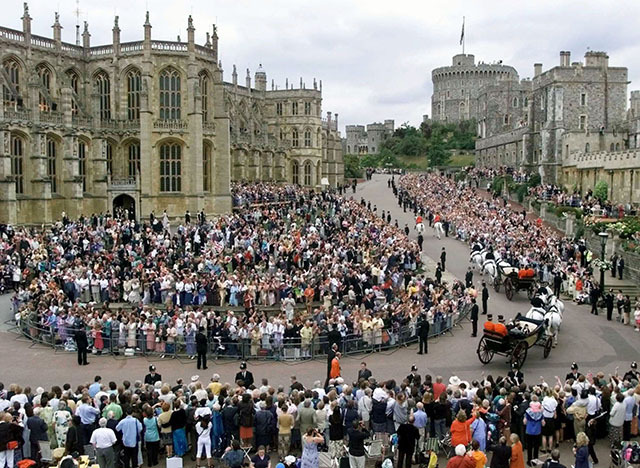 Over a dozen royal weddings have taken place at St. George's Chapel at Windsor Castle where Prince Harry will wed Meghan Markle on May 19, 2018. 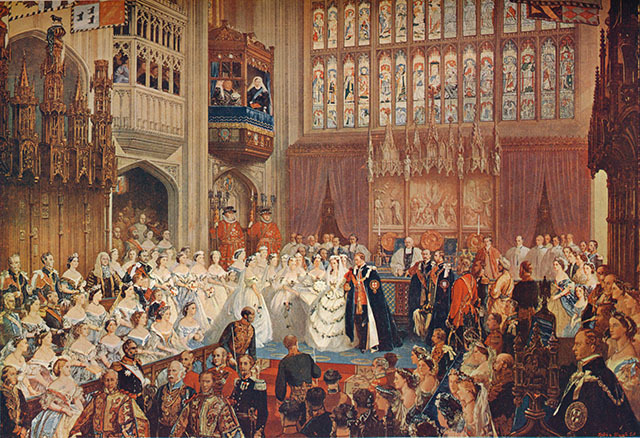 From the pomp and circumstance of Edward VII's marriage to Princess Alexandra of Denmark in 1863 to the relatively quiet nuptials of his great-great-great-grandson Peter Phillips to Autumn Kelly in 2008, here's what we can learn about the next royal wedding to take place at this historic venue. 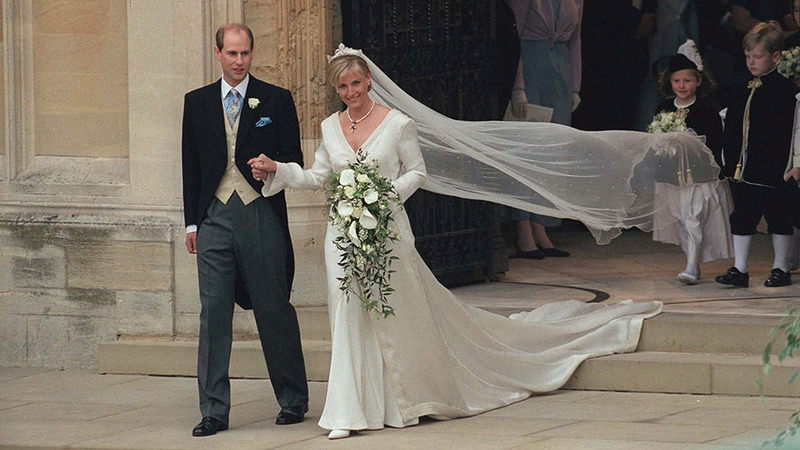 Queen Elizabeth's youngest son, Prince Edward, married Sophie Rhys-Jones on June 19, 1999, at St. George's Chapel in a ceremony that was predominately for close family and friends. 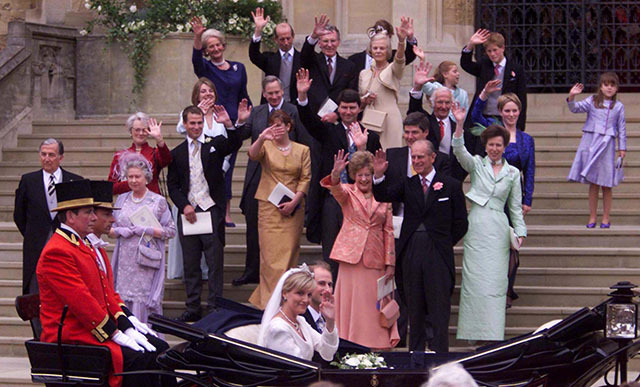 Per modern tradition, members of the royal family pose for pictures on the steps after the wedding ceremony. 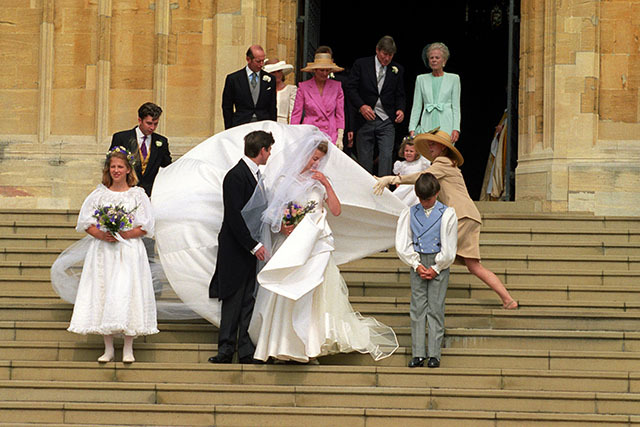 In this picture, you can see a young Prince Harry with his cousin Princess Eugenie, in purple, who is also planning her wedding at St. George's Chapel for later in 2018. 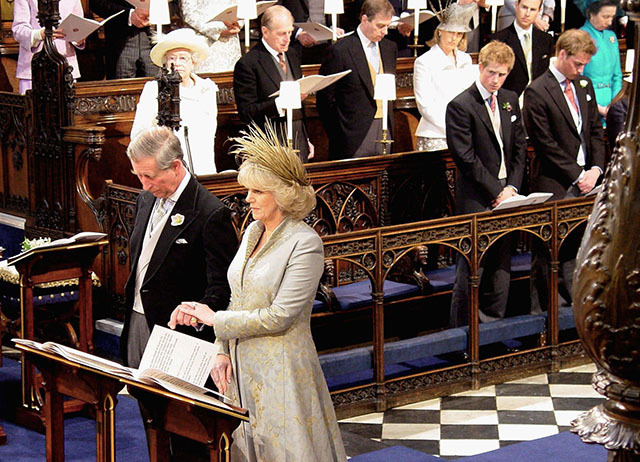 Presumably, to avoid controversy over the heir to the throne marrying a divorcée in a religious ceremony, Prince Charles and Camilla Parker Bowles had a civil ceremony at the Guildhall in Windsor and had their marriage blessed at a Service of Prayer and Dedication in the quire of St. George's Chapel on April 9, 2005. 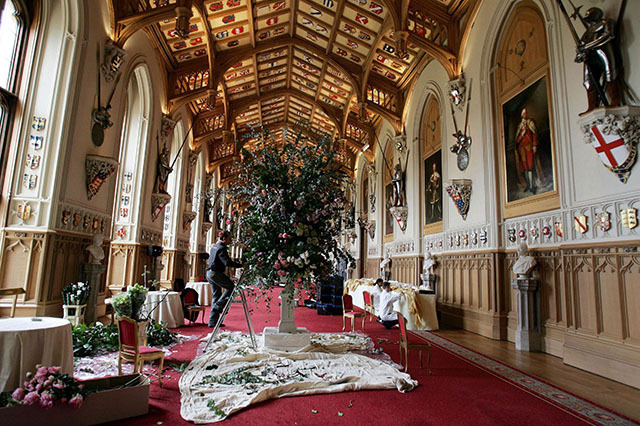 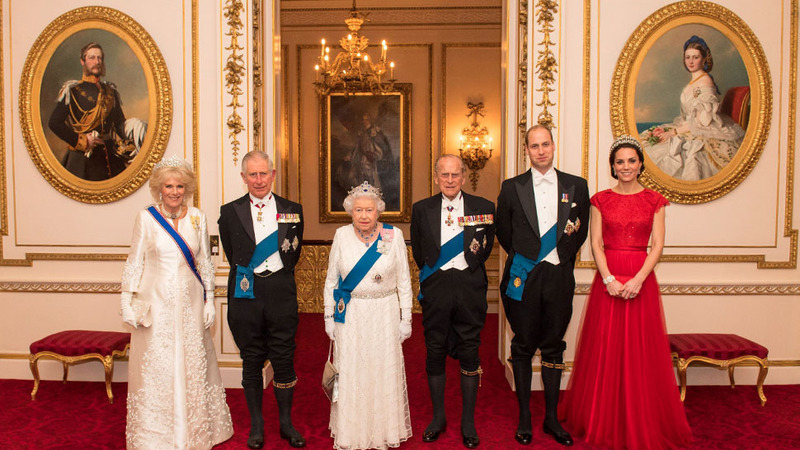 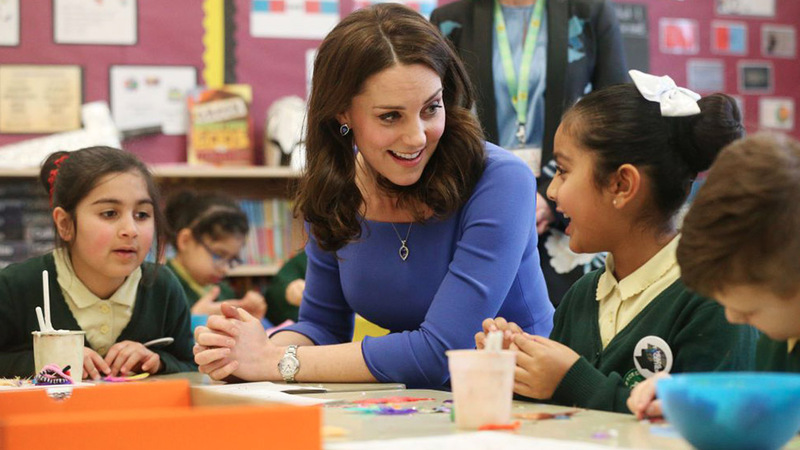 Later that day, the Queen and the Duke of Edinburgh threw a reception for Prince Charles and Camilla at Windsor Castle in St. George's Hall, the Grand Reception Room and Waterloo Chamber, which is reportedly where Harry and Meghan's reception will be held, too. 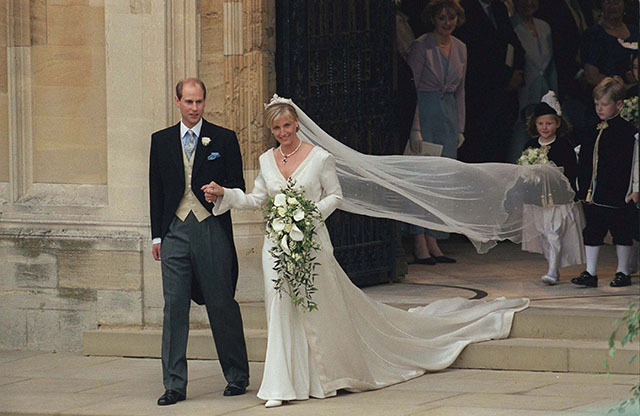 For the next several decades, the royal family favored Westminster Abbey as a wedding venue until Lady Helen Windsor, the daughter of the Duke of Kent, married Timothy Taylor on July 18, 1992, at St. George's Chapel. 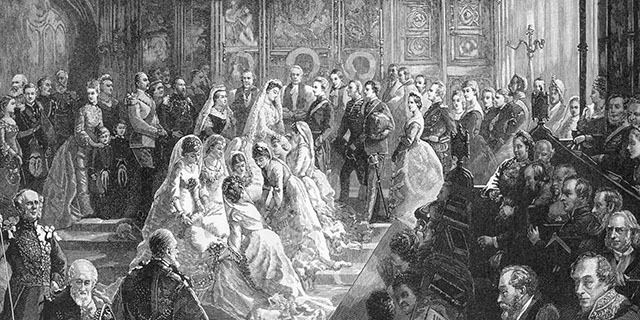 Queen Victoria's eldest son, the future King Edward VII, married Princess Alexandra of Denmark on March 10, 1863, in the quire of St. George's Chapel in a ceremony attended by royals from Denmark, Prussia, and even the Maharajah of India. 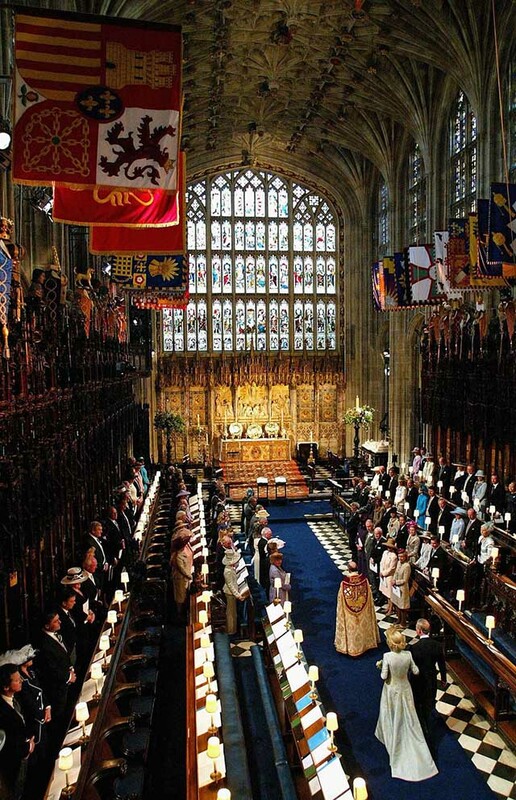 While Prince Harry and Meghan Markle may have a slightly less high-profile guest list, their ceremony will also take place in this part of the chapel. 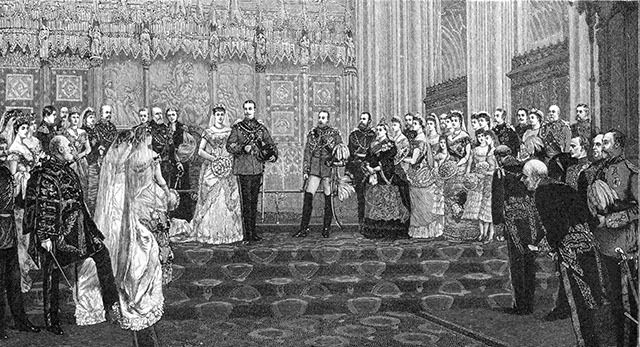 The next royal wedding at St. George's Chapel happened eight years later on March 13, 1879, when Queen Victoria's third son, Prince Arthur, Duke of Connaught, married Princess Louise Margaret of Prussia. 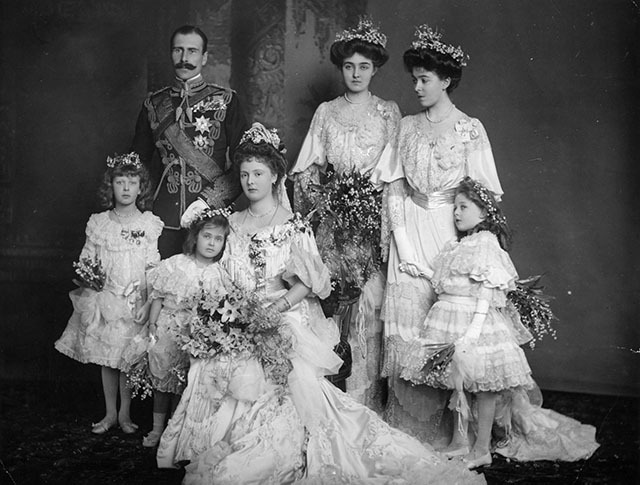 Twenty-two years after her parents were married at St. George's Chapel, Princess Alice Mary of Albany married Prince Alexander of Teck at the same venue on February 10, 1904. 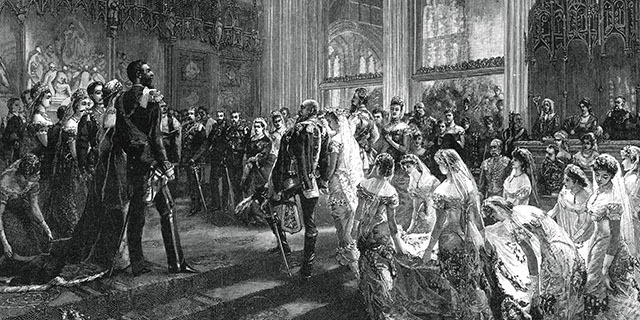 Because the Duke of Albany died prematurely of hemophilia, Princess Alice's uncle, King Edward VII, walked her down the aisle and hosted a 14-course banquet for her afterward at St George’s Hall at Windsor Castle. 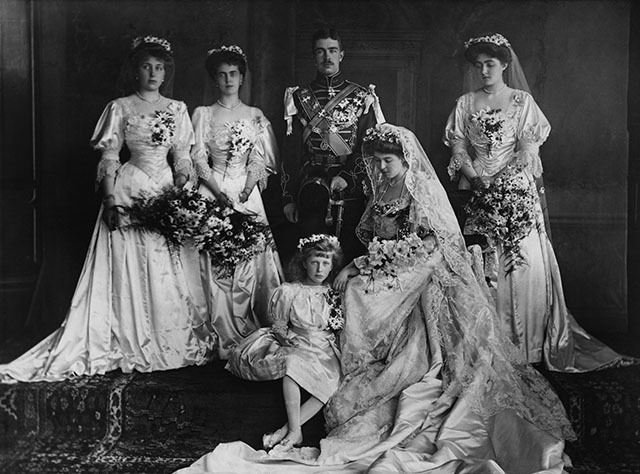 Another granddaughter of Queen Victoria, Princess Margaret of Connaught, married the future King Gustaf VI Adolf of Sweden at St. George's Chapel on June 15, 1905. 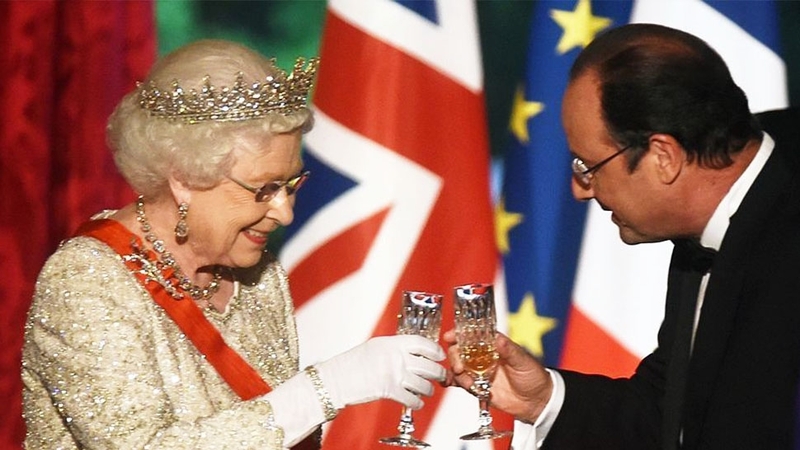 The banquet that followed featured two dishes to honor the heir to the Swedish throne, including Zèphires de Crabes á la Suédoise—named after Sweden—and Chaufroix de Cailles à la Bernadotte—named after the Bernadotte house to which the Swedish Royal Family belongs. 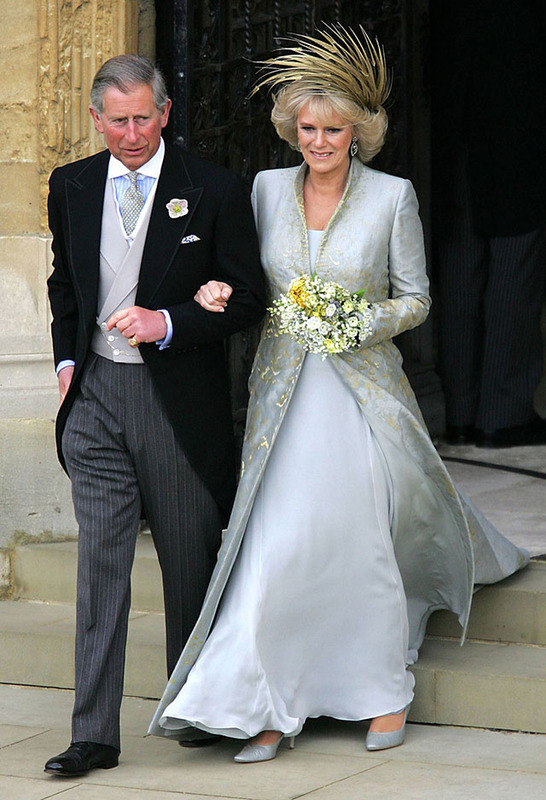 It's rumored that Harry might also honor his bride's American heritage by skipping the traditionally British fruitcake for a wedding cake made out of bananas. 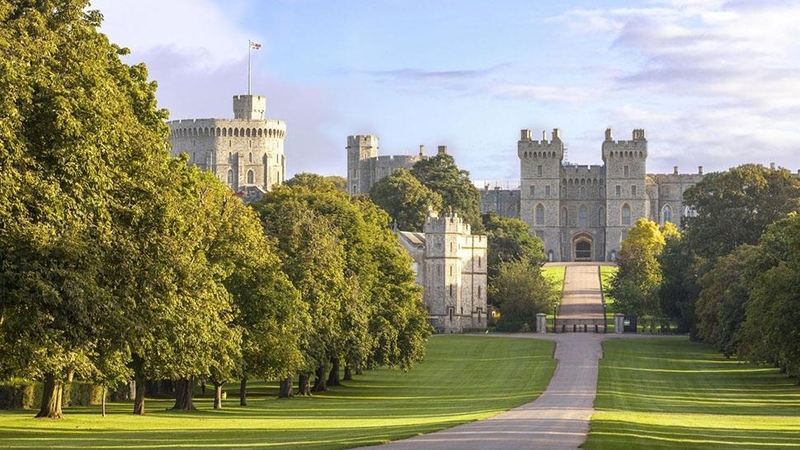 While a niece of Queen Mary was married at St. George's in 1919, the next royal wedding to happen at Windsor Castle didn't take place until December 14, 1957, when Queen Elizabeth II's cousin, Anne Abel Smith, married David Liddell-Grainger in a televised event. 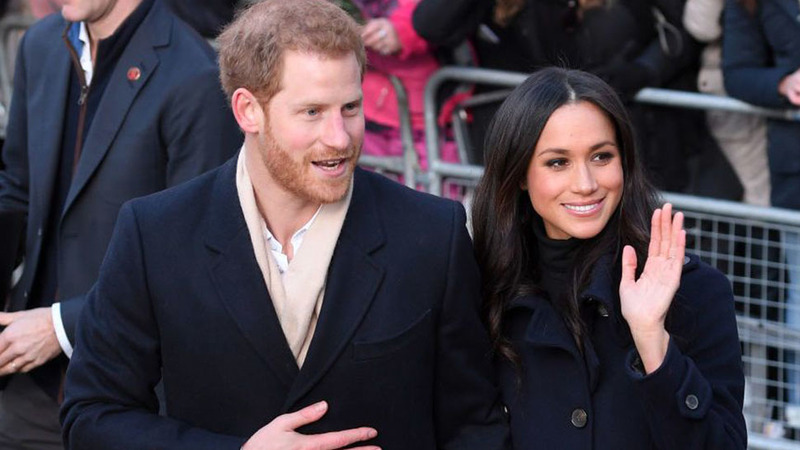 It's expected that Harry and Meghan's wedding will also be televised.